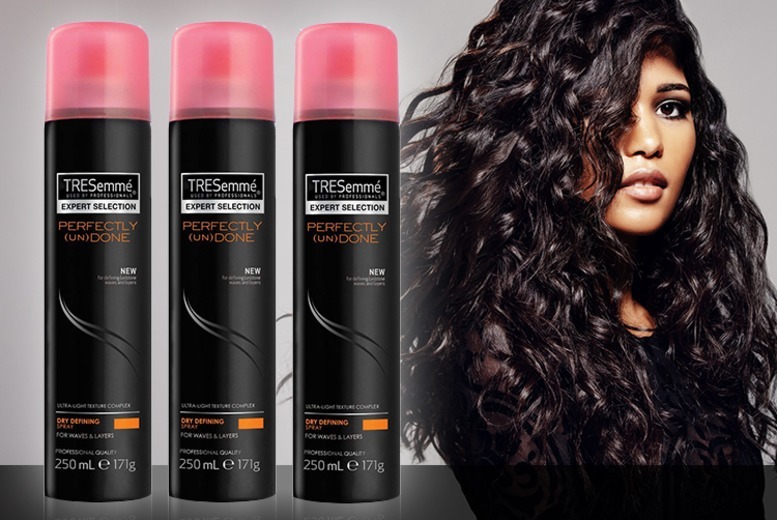 Get a pack of three TRESemmé Perfectly Undone sprays. Helps to define your waves and layers. For a textured, effortless look! Ideal for giving your style an everyday refresh. A high impact and super lightweight formula!